Maren Morris' custom-made wedding dress is totally unexpected -- see the pics! 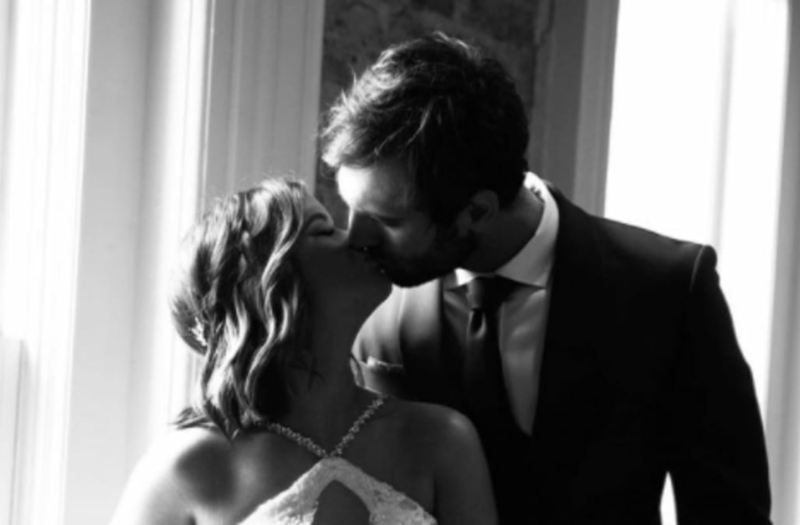 Maren Morris tied the knot with Ryan Hurd over the weekend, and the Grammy winner took to Instagram to share a few snaps of her big day, including her custom-made wedding dress. Of course, the country star donned a totally unexpected gown for her intimate, outdoor ceremony. Nashville designer Cavanagh Baker paid tribute to dress that Maren's mother wore on her very own wedding day -- but with a few modern touches. The ornate high-low ensemble featured 20 layers of tulle, embroidered lace sourced from Spain and crystal straps created in India. The stunning gown took over a month to make. The "I Could Use A Love Song" hitmaker shared a photo of her and Ryan sweetly sharing their first kiss after saying "I do." "My last turn home," Maren captioned the photo, which is a nod to the Tim McGraw song she co-wrote with Hurd back in 2013. The songstress previously told People that she would love to wear a dress similar to her mother's, so it wasn't a surprise when Maren walked down the aisle in the unconventional gown. "She was a badass and had this short wedding dress, so I sent it to this designer that I love," Maren once explained. And the best part? The gown features a detachable train, meaning Maren danced the night away at her reception. For more on Maren and Ryan's big day, watch the video above!